Jennifer and Jeffrey – Children’s occasion wear, handmade in North Yorkshire. Jennifer and Jeffery is a bespoke children’s clothing brand specialising in using luxurious Liberty of London Tana Lawn. Each item I produce is individually handmade for you at my home studio in Easingwold with love and care. You choose your fabric from the many Liberty Tana Lawn prints and I create a stunning heirloom quality item for your little one. I have had a passion for sewing for as long as I can remember. My parents both have a background in textiles and soft furnishings so I have been around fabric from a young age. Since having my children I have put my creative energy into sewing unique items for them using fabrics and prints that they love to wear. As each item is made to order it can take up to 2 weeks before it is posted out to you by Royal Mail. Collection can be arranged if you are local to Easingwold. Take a look through the website or Etsy shop for more information or contact me using any of the links below. Follow me on Facebook or Instagram for news and special offers! Local mum Katherine Ingle set up the company with the aim of creating a range of high quality sterling silver rings and bangles, bracelets and necklaces. All bespoke, made to order and personalised if required. Pure silver charms are the most popular item especially amongst mummies and grannies! Perfect as a gift for birthdays, Christmas or Mothering Sunday. She can make either single-sided or double-sided charms and in a wide range of shapes and sizes. Katherine can imprint the silver with any clear image or text as above and then attach the charms to bracelets/necklaces or her handmade sterling silver bangles. Cufflinks and dogtags – again any clear image, text or date can be added to make a striking statement for a special present for daddies! Bracelets and necklaces – all sterling silver. She can source most chains and bracelets, and she will attach charms free of charge to a customer’s existing bracelet or chain. Keyrings with charm – sterling silver with pure silver charm – take your precious hand and footprints or baby scan with you wherever you go! Gifts for the home e.g. a large pure silver personalised heart to hang in the home or on the Christmas tree. Sterling silver handmade bangles and rings – can be personalised if required. Sterling silver charms – hand stamped with text or numbers. Make a lasting impression of your baby or child’s hands and feet with a 3D cast, raised impression, piece of silver jewellery or a hand art picture. 3D casts and raised impressions are a lovely way to remember how tiny those hands and feet were and look back at in years to come and with a piece of silver jewellery you can carry a reminder of your child wherever you go. I create hand drawn and painted personalised prints in a variety of styles and themes. Each drawing is unique and is created to fit your child’s room/nursery. As they are all hand drawn and painted they offer a much more personal feel rather than just a computerised print. I offer two sizes – A3 and A2. Please contact me for further information! Quality handmade gifts and cards. I specialise in bespoke items such as memory bears, first year memory cot quilts, family tree notice boards, family scrabble boards, photo cushions. Prices £15 – 50. Give me a call to discuss your requirements. Cooking Parties, Clubs, Workshops, Schools. Kiddy Cook & Cookie Tots cater for 2-11years of age, children create easy-to-make recipes and then join in with music, games and activities based around preparing and enjoying food. Lots of yummy food and a few gastronomic experiments too! Contact Emma on 07710 247 149. My philosophy is simple: Be Kind to Kinder Feet! All Shoes are Eco and Allergy Friendly and made of vegetable tanned leather. A 100% natural product. Please visit my website www.kinderfeet.co.uk for the latest shoe designs. If you still can’t find what you are looking for, then feel free to get in touch with me, as I also offer customised/personalised Kinder Feet Shoes. Hi Mumblers! I’m Louise. I live in Wetherby and am mum to 3 little boys. I also run Peony and Grace – Personalised Gifts. We make decorative fabric letters for childrens’ bedrooms in full name sets or initials (with personalised tags, making lovely keepsake gifts for newborn babies, Christenings and birthdays). I have a range of pretty fabrics to choose from for the letters and they come with a hook attached so they can be hung on a wall. 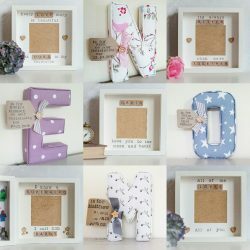 I also make personalised scrabble letter photo frames, which make fab gifts for all occasions, including Valentine’s day, mothers day, father’s day, weddings, Christenings, anniversaries and birthdays. Portrait Profiles transforms your digital photographs into original silhouette portrait prints – perfect for capturing special moments in time in a new and innovative way. 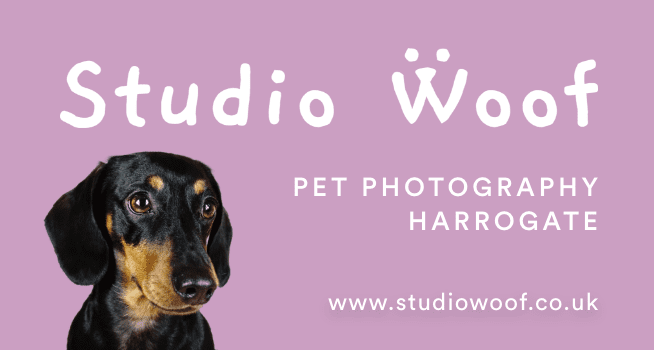 There are loads of styles available covering people and animals – silhouettes, head cameos and word art incorporating silhouettes. Ideal for presents. Scribbles Crayons is a family business run from home (in the Yorkshire Dales). Our children are the centre of our lives and inspired us to start Scribbles crayons. We love to encourage their creativeness through drawing. Our vast range of handmade crayons is a favourite family pastime often shared with our friends. Visit my facebook page or website. If you don’t see what you are looking for get in touch as I can probably make or source what you are looking for.